Our range of products include under water lights, mist makers, fountains pumps and fountains nozzles. Keeping track with the latest market development we are actively engaged in offering supreme quality Under Water Lights. The provided water lights are manufactured with the help of superior quality components and modern technology under the supervision of proficient professionals. 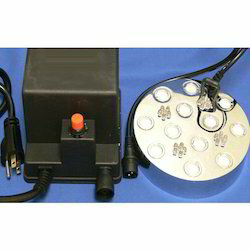 Our offered water lights are quality tested on different parameters by quality examiners. Apart from this, clients can avail these water lights from us at affordable prices. Backed by a team of highly skilled and experienced professionals, we are engaged in offering Mist Makers. The offered mist makers are manufactured using premium quality components and the latest technology in sync with industry norms. Furthermore, we provide these mist makers in varied specifications and designs to cater the needs of our valuable customers. Our provided mist makers are available for our customers at nominal prices. Keeping in the mind various requirements of our clients, we are offering premium quality Fountains Pumps. Our offered pumps are manufactured using optimum quality components and progressive technology as per the industry standards. 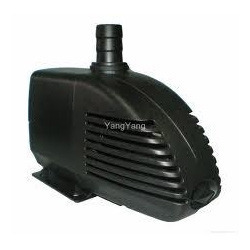 Besides, these pumps are available in variegated designs and sizes in order to meet the demands of the clients. The provided pumps are tested against different quality measures so as to ensure their quality. 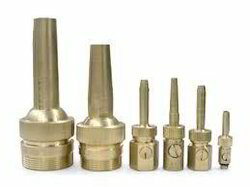 We have marked a distinct position in the market by offering superior quality Fountains Nozzles. The offered nozzles are manufactured using the finest quality components and cutting edge technology in compliance with industry norms. Our provided nozzles are checked against different quality parameters in order to ensure their quality. Moreover, these nozzles are available in diversified designs and specifications in accordance with the meets of the clients. Looking for Fountains Products ?